Localizations let you provide a translated version of Populi to your international users. 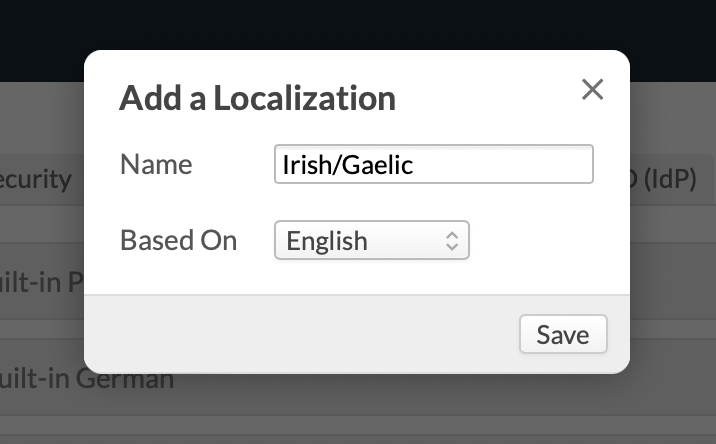 You create a new localization in Account > Localizations. You embark on the translation work. You can translate Populi's interface elements as well as your own content (Academic Term names, application questions, etc.). When the localization is complete enough for your needs, you can then assign it to people on their Profiles. The user will then experience Populi with the translation you supplied. Give it a name. This should probably be the language into which you're translating Populi. Select the Default language. This is the language that will be displayed when a term remains untranslated. Populi includes built-in defaults for English, Spanish, French, German, Korean, Portuguese, and Chinese. Select a country flag; this will display on a person's profile when you assign this localization to him. Click the name of the localization in the main list to go to the translation page. Interface text refers to Populi's built-in language elements—navigation views, buttons, headings, etc. The remaining elements are the names of things that you have supplied—application fields, academic term names, refund policies, and so on. Now it's time to supply translations for these terms. Just enter the translated text in the text area; when a green check mark appears that means Populi has saved it. Let's be honest: this part will take awhile. Use the filter above the navigation buttons to see All, Translated, or Untranslated text. If you're translating Populi for the use of a subset of people concentrate on translating only those elements that they'll see. If you're translating for students, for example, focus on the things they'll see in Courses and My Profile. Since translations auto-save as you work, you can navigate away at any time. 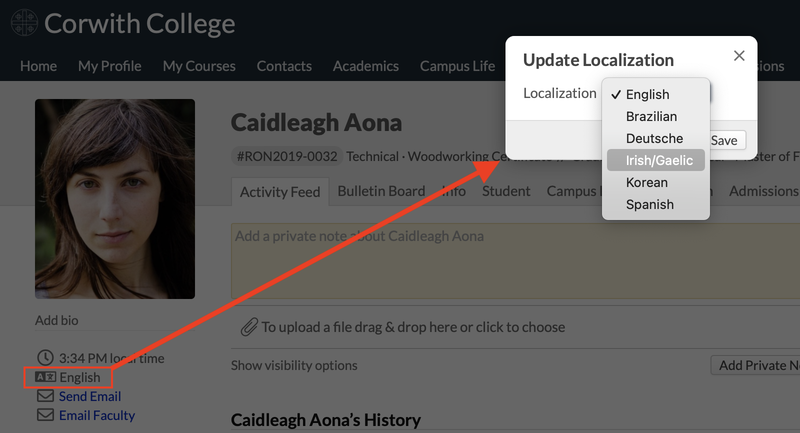 As soon as you've translated any part of Populi, you can start assigning the localization to the users in your system. Go to the person's profile. Under the profile picture, click the locale name next to the flag icon. Now that you've assigned a locale, the user will experience Populi with the translation you supplied the next time he logs in. What role is required for a staff member to translate localizations? @Chris - Localizations are managed in the account section which can only be accessed by Populi Account Administrators. If you have further questions about localizations please open a support request.